We love how the page-per-day format of the Exacompta 2019 Journal 21 Planner Refill balances the intense focus of daily planning with keeping us aware of the rest of the week, day, and month: we never drown in a sea of pages using the Journal 21! 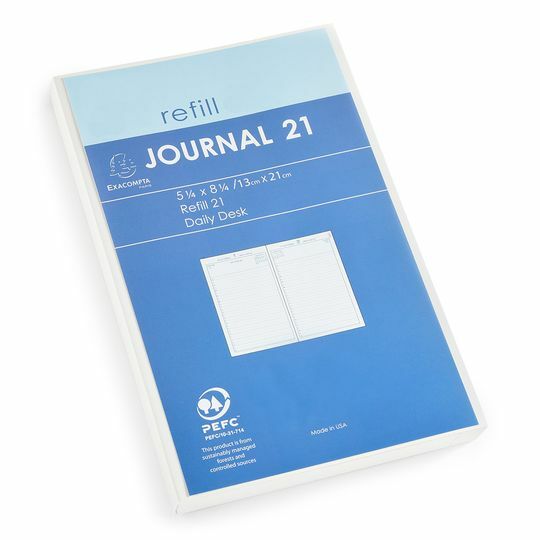 Just slip this Exacompta Journal 21 Planner Refill into your favorite Quo Vadis or Exacompta cover, and you're ready to go. Each day is generously laid out with an 8 am to 9 pm schedule with a full line for each half hour and an extra box for daily notes, lists, and reminders. 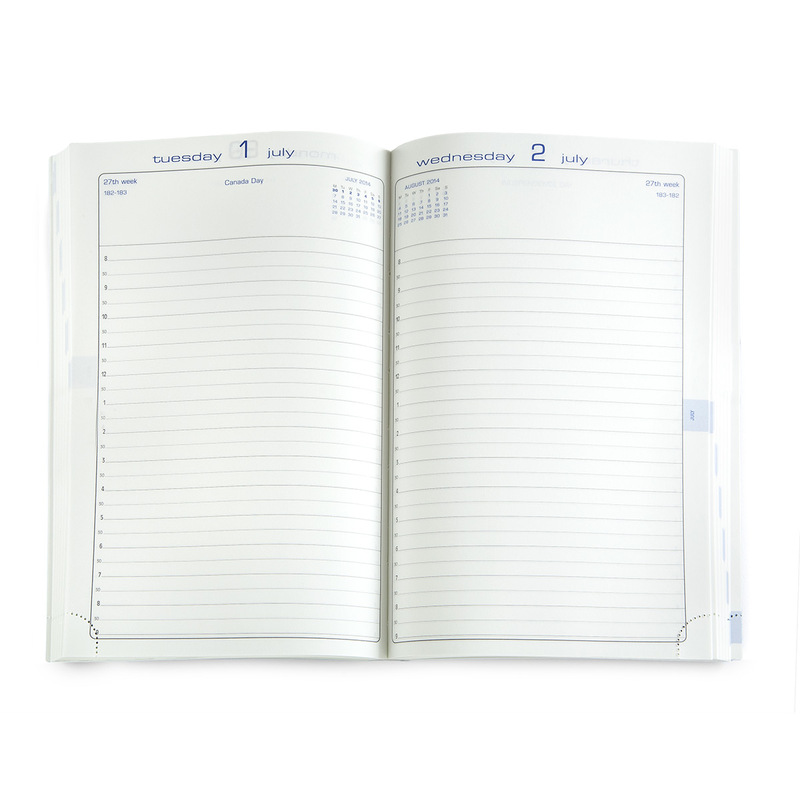 Monthly planning calendars, colored margin tabs, and easy tear-off corners keep us on the right day; a bound-in address book keeps contacts within immediate reach. The luscious 72 g Clairefontaine paper has a delicate green tint and is both acid free and eco-friendly. Love the covers and journals. Such a beautiful variety of covers and love the page per day journal. I have purchased this product for the last 7 years. It is of excellent quality and fits my Journal perfectly. I recommend purchasing it. After hunting years for a daily diary, I found this! So easy now, just place my order yearly! Product arrived on time; very well packaged to protect the refills and on time. Exacompta's Journal 21 works well for me. The paper is smooth for writing. The size is perfect for sitting on my desk unobtrusively. Great product - I use it every day, and get one every .